An old charming town…a look and feel of quaint Breton. 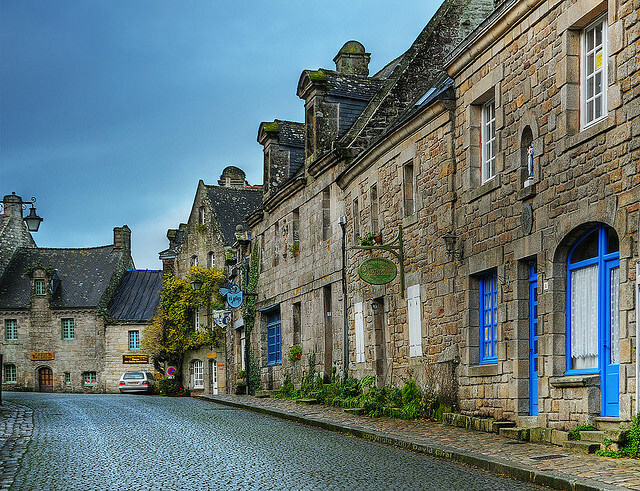 Officially one of the most beautiful villages of France, Locronan is located at about 10 miles from north-west Quimper in western Brittany. From historical importance to being a sacred town to being an important trade center, this village has it all. 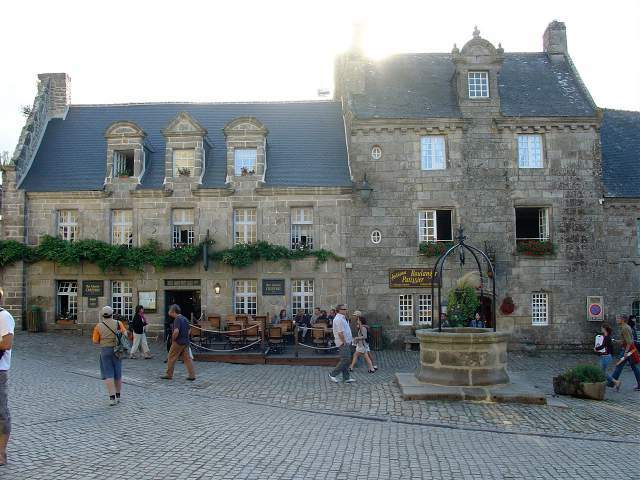 A town with a pedestrian precinct…let’s take a walk around Locronan. The westernmost part of France, Breton (Brittany) might be called Finistère, meaning ‘land’s end’, but it’s true Breton name, “Penn ar Bed” translates to “the head of the world”. 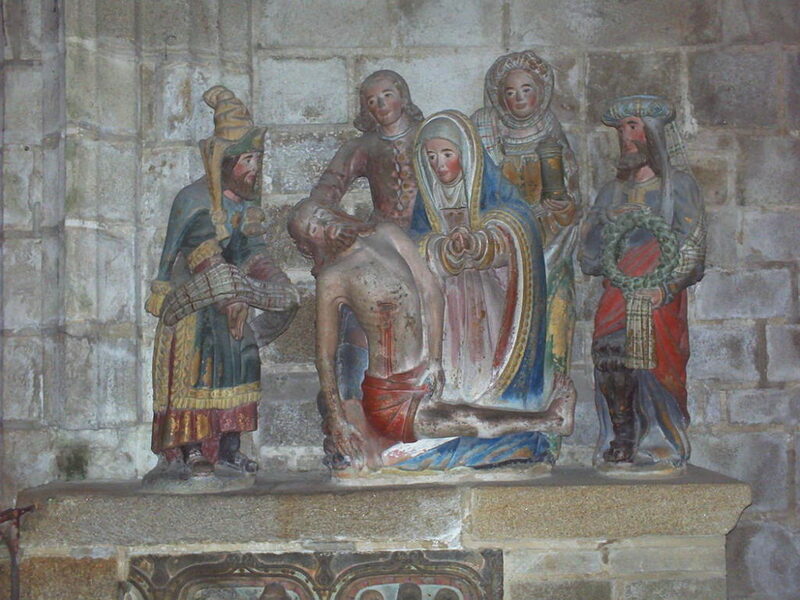 This is how people from Locronan saw themselves, as heading the world. 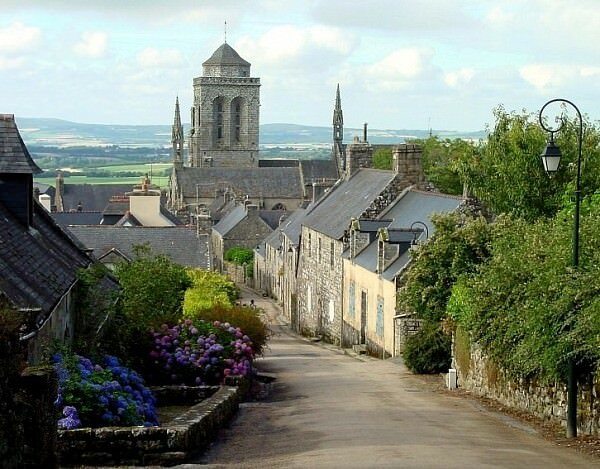 Locronan holds titles of being both a Breton Petite Cité de Caractère and one of the Plus Beaux Villages de France. Serving as a sacred place for the Celts, known as “nemeton”, Locronan has a history that goes back in time for more than 2000 years. 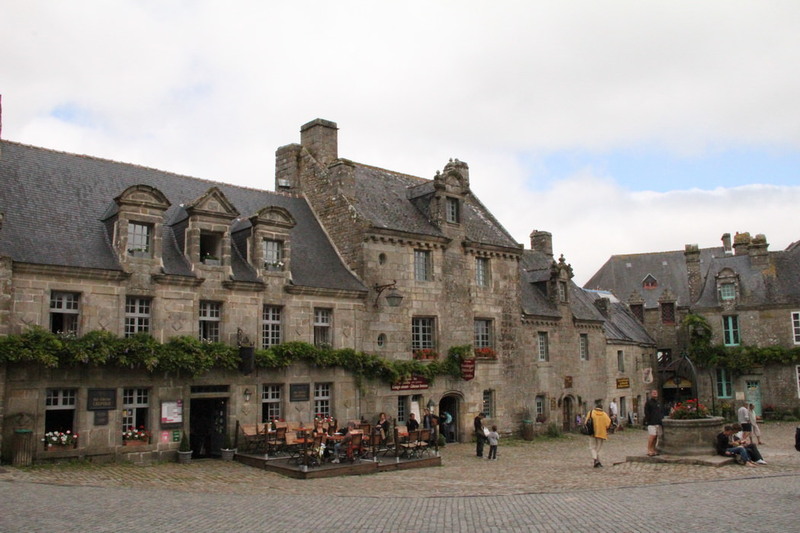 Through the middle ages, Locronan became prosperous manufacturing local hemp and high-quality ship rigging canvas. About 25 miles from the sea, the ship building industry as also Vikings found themselves going to Locronan for sail-cloth. 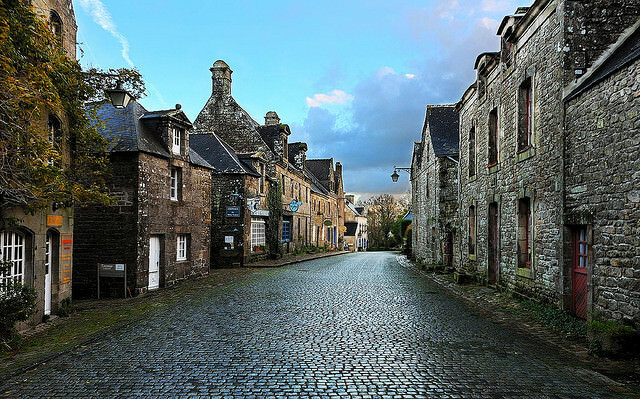 The village of Locronan is built in traditional local granite and is extremely well-preserved. The solid Renaissance houses with traditional roofs and cobbled streets ooze history and will transport you back to the past. 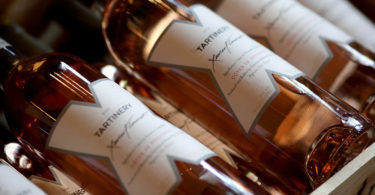 The town is completely cut-off to traffic making for a pedestrian haven and a very attractive village. 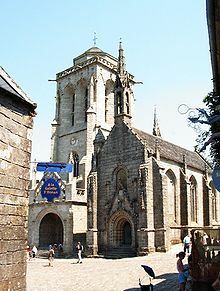 Locronan was built to be inhabited by Bretons, and Bretons were known to be little (Viking statures of about 150 meters tall). So, when visiting a Locronan house, watch your head if you are invited inside and are a tall American! 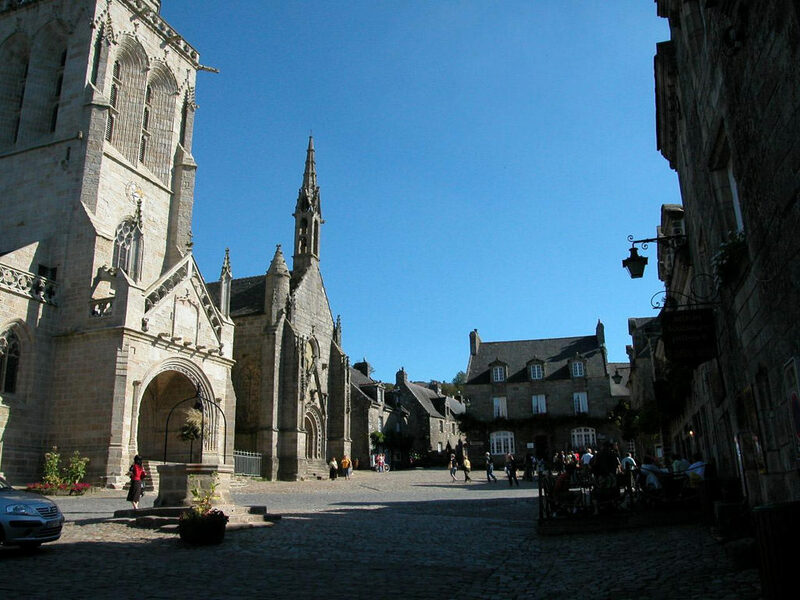 The 15th century grandiose St Ronan church and the cobbled Place de l’Eglise are in the heart of the village are a must-see. The church is a fine example of flamboyant 15th century Gothic art. 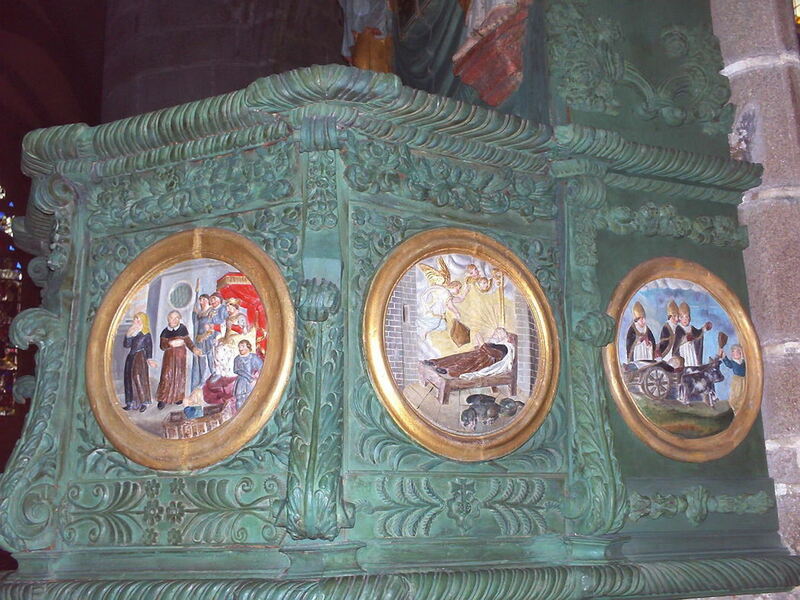 The story of St. Ronan, an Irish hermit who came to Locronan in the 9th century is carved in the wood pulpit. He is said to have lived here and to have taught the people the art of weaving. The church and chapel there are reminiscent of beautiful medieval architecture. 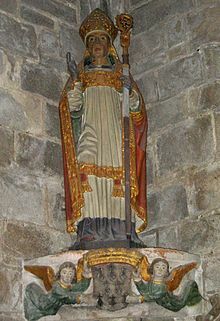 Every six years the great Troménie (pardons) takes place in the village, where in the pilgrims wear traditional costumes; carry embroidered banners, gold and silver crosses and relics of St Ronan in tribute to the Saint. 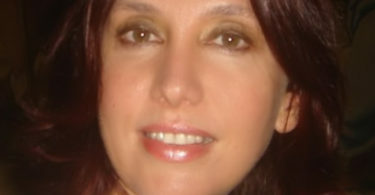 This July 2013, is the year of the great Troménie. 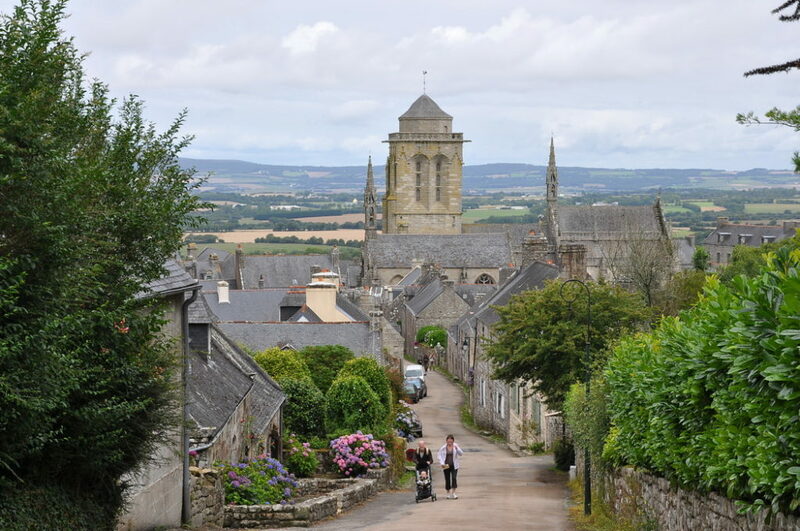 Besides the village itself, you can visit the small chapel of Sonj which is a short distance from the Montagne de Locronan. You can also walk through the forest at Bois de Nevet and indulge in other excursions to enjoy the stunning views of the sea and surrounding areas. Psst…Locronan may seem familiar considering it was used as a setting from the film Tess by Roman Polanski featuring a French James Bond girl.